Clinching uses cold forming to produce two-layer or multilayer joints of metal sheets and/or profiles, similar to snap fasteners. By means of RIVCLINCH® joining technology, steel and stainless steel materials as well as aluminium and other non-ferrous materials are joined together in a cost-effective and environmentally friendly manner. Coated and pre-painted metal sheets can also be combined without damaging the surface. 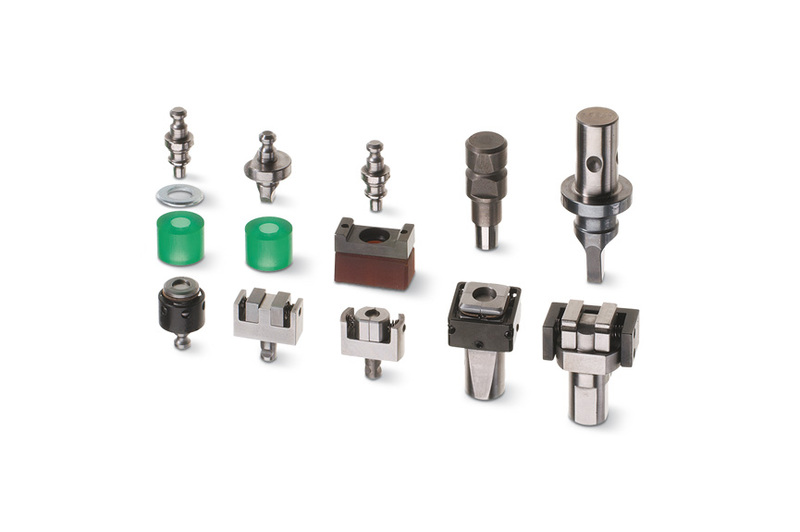 Depending on the choice of RIVCLINCH® joining tools, round or square joining points are produced. 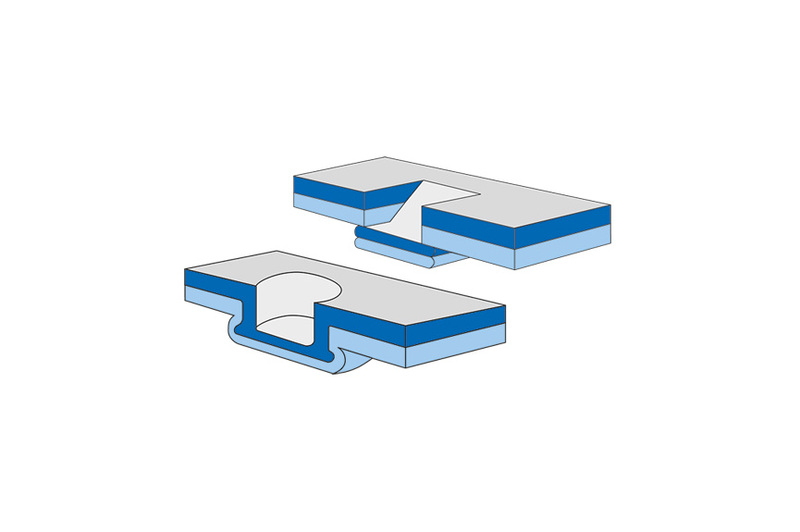 Clinching is a method of joining metal sheets or profiles by cold forming the material without joining elements to form a form-fitting, non-positive connection. Two-layer or multilayer joints are possible. Owing to its special characteristics, RIVCLINCH® joining technology is used primarily in air duct construction, door and gate manufacture, for white and brown goods, in air conditioning and energy technology and in the sheet metal-working industry. Depending on the choice of RIVCLINCH® joining tools, round or square joining elements are produced. The tool kit is customised to the individual application. Large component dimensions can be joined using manual systems. No need for preliminary cleaning or removal of spray residues at the weld edge. No additional joining elements are required. Setting a clinch point produces no chips or dust. During clinching, the materials to be joined are first drawn into the die by the punch. As soon as the lower material touches the anvil, it starts to flow to the sides. The movable die segments are moved outwards. The flowing action of the materials forms the button. The punch then moves back to the starting position, the joined part can be removed, and the side parts of the die are closed up again by a spring. The localised deformation of the material produces a form-fitting, non-positive connection. 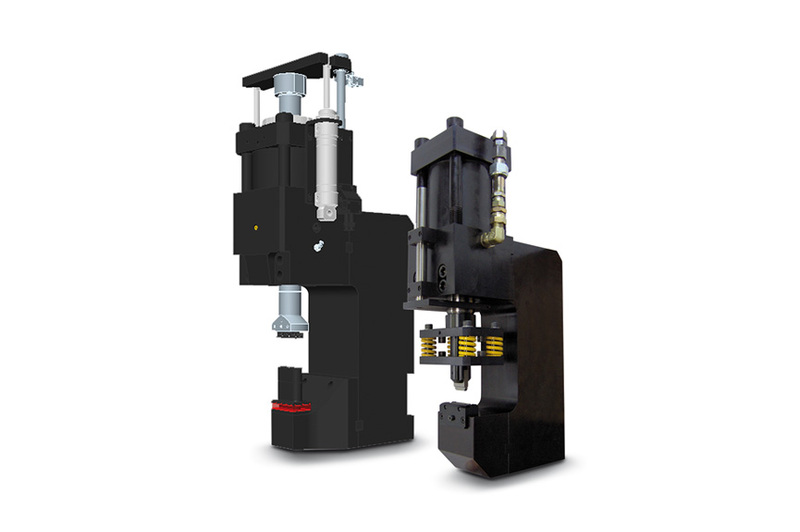 The RIVCLINCH® joining system may be adapted to existing presses or used in custom-built machines. Both single points and multiple points can be set at the same time. 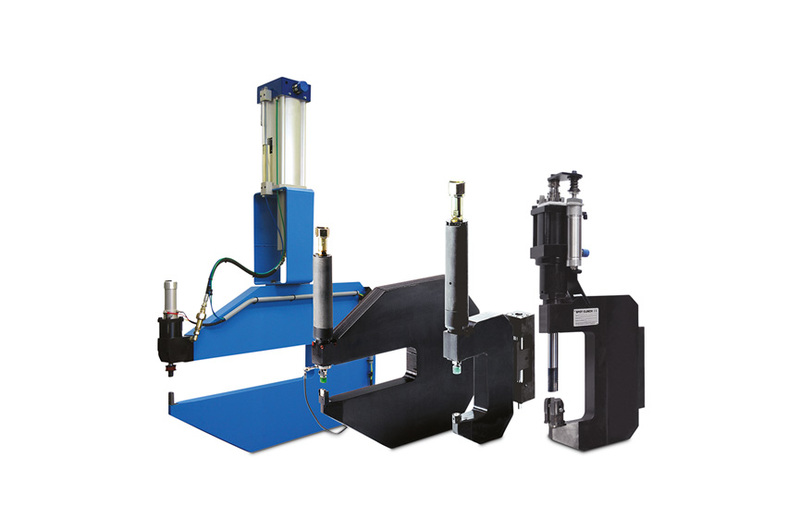 An integration of the clinching system into manual machines, robots and stationary tools is feasible. Clinching is used to join steel and stainless steel materials as well as aluminium and other non-ferrous materials in a cost-effective and environmentally friendly manner. For more information visit www.bollhoff-attexor.com or download the catalogue "RIVCLINCH® – Metal joining without fasteners" (RC 05/15 D). 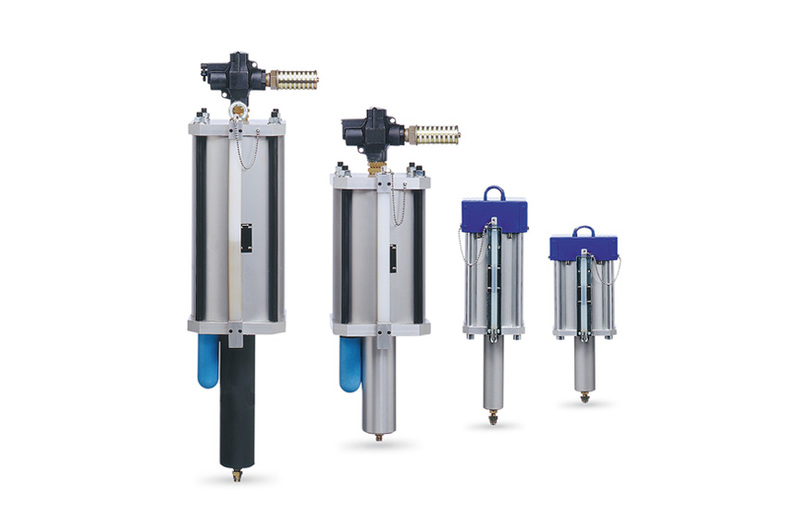 Find out more about available add-ons and accessories for your particular application. 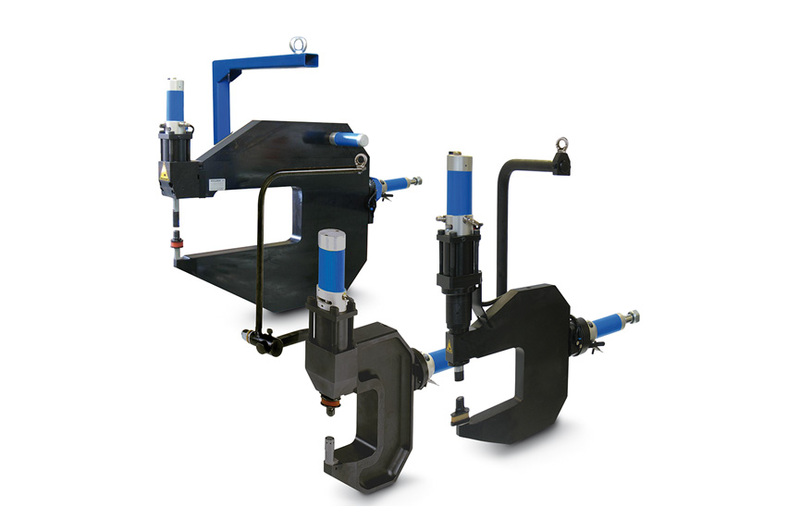 Fast and lightweight tools for clinching (with pressure booster drive) edges and panels. Suitable for cabinets, refrigerated window displays, vending machines, refrigerators, ventilation systems and many other sectors of industry. All-purpose C-frame clinchers are ideal for applications with moderately large spacing between joining points. The tool features a large jaw opening with safe forward stroke and manual or automatic fast closure of the clamping or working head. Numerous application areas, including the construction industry, ventilation shafts, HVAC (heating, ventilation and air conditioning), domestic appliances, car industry, etc. 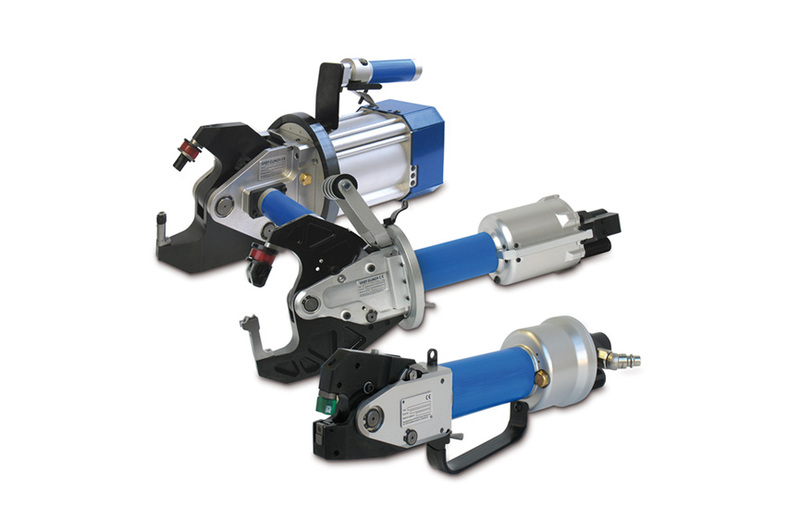 The PASS series features powerful, portable tools and a hydraulic drive with compressed air booster. The all-purpose C-frame working head family is fitted with the superb PASS option (passive forward stroke system). The forward stroke is pneumatically driven and can be set independently of the working stroke. 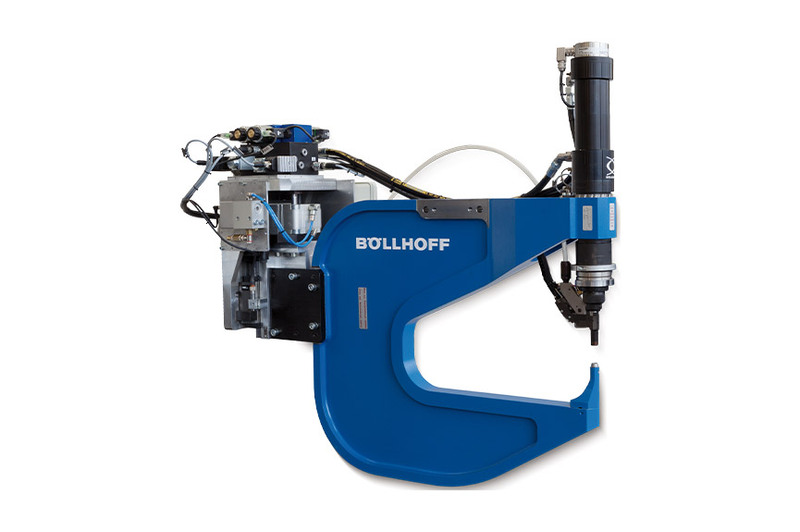 Advantages: safe, long forward stroke for easier tool positioning, deep C-frame up to 450 mm for applications in all branches of industry, large-format connections and control cabinets. With a closing force of 35 or 55 kN, lightweight C-frame for all depths up to 1300 mm. PASS option for all modules. With a closing force of 75 or 105 kN, for large metal thicknesses (up to 8 mm in total) and for numerous tool configurations. 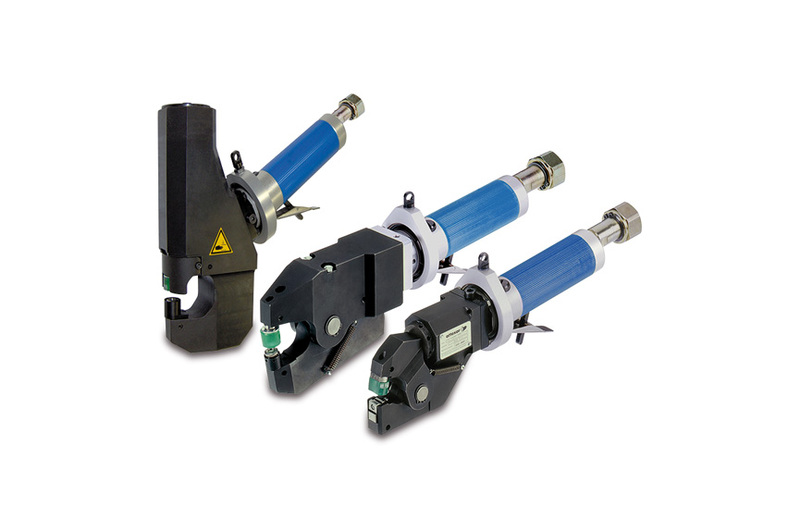 Specially manufactured, application-specific stripper punches can be supplied. PASS option available for all modules. With a closing force of 200 or 300 kN. 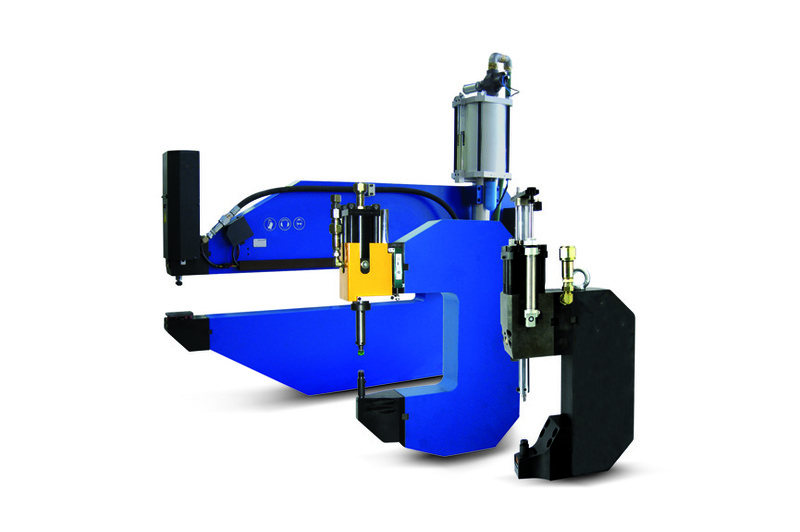 Clinch presses with (multiple) customised tool kits and application-specific C-frame. PASS option available for all modules. 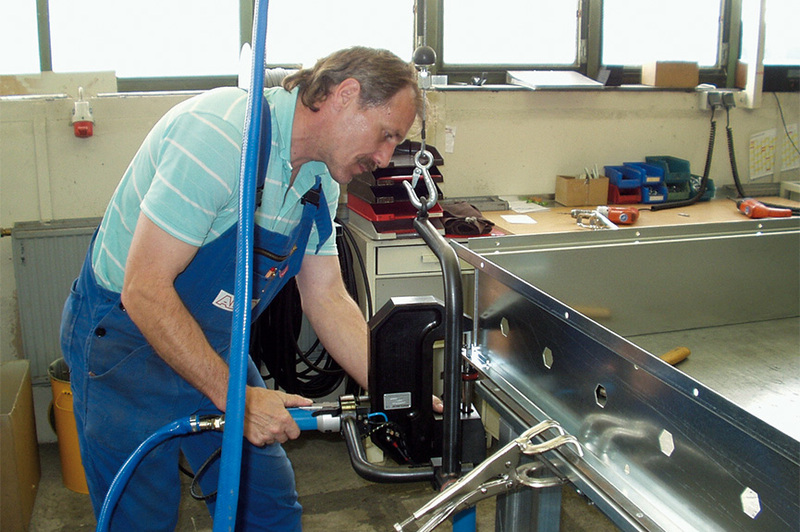 Long forward strokes are performed by a small pneumatic piston and therefore no longer require large amounts of oil. 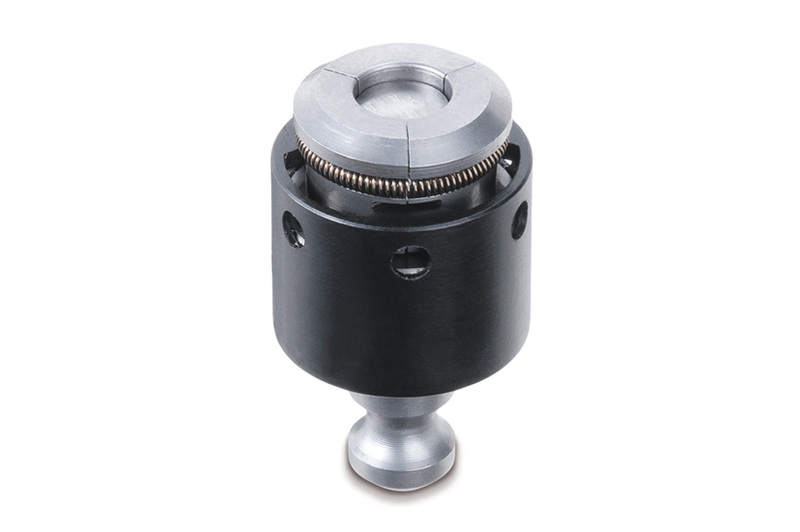 Several working heads can be driven by a single pressure booster, which only operates during the actual clinching process. 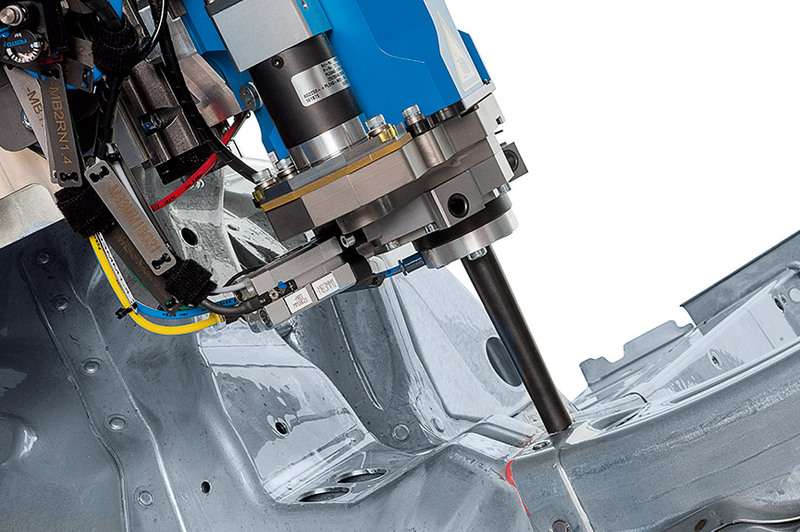 A further advantage of the PASS solution is the shorter cycle times when producing multiple clinch joints in succession without performing long forward and return strokes. 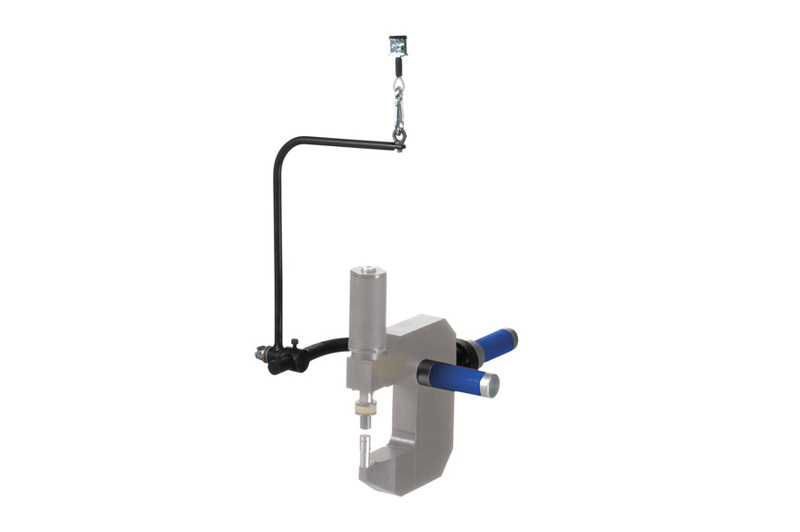 All modular machines with a closing force of 35 to 300 kN can be fitted with the PASS option.